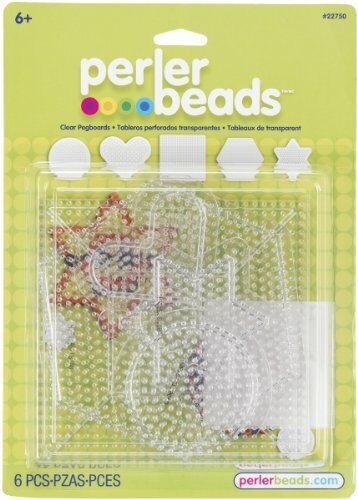 Perler Beads-Clear Pegboards. These pegboards allow you to make fun shapes using Perler beads. Create a circle; heart; square; hexagon; and six-sided star by simply placing the beads on the pegboard. Fuse them together using heat and you're done! This package contains five pegboards and ironing paper. Instructions are included on the back. Perler beads sold separately. Recommended for ages 6 and up. Imported. PERLER- Perler Fun Fusion Pegboards. 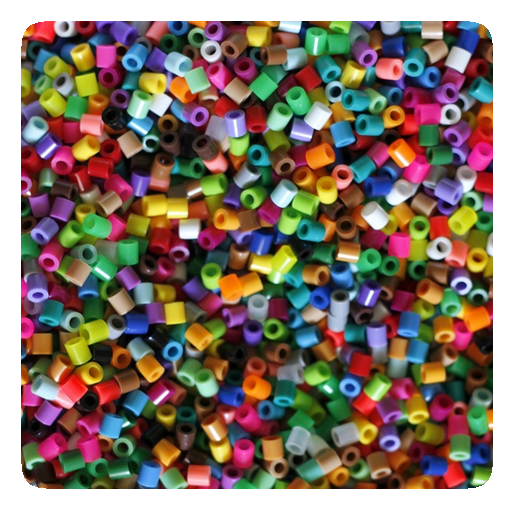 These large, clear, interlocking square peg boards are designed for use with Perler Beads, and can be joined together in multiples to create larger designs. This package includes four 5-3/4x5-3/4 inch interlocking and reusable pegboards, reusable ironing paper, and instructions. Recommended for ages 6 and up. Imported. 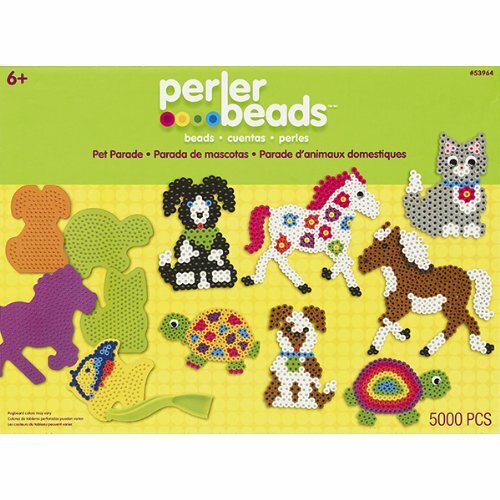 The Perler pegboard value pack includes a nice variety of pegboards in assorted colors that are designed for use with Perler Beads. Perfect for a rainy day or a birthday party activity! for ages 6 and up. 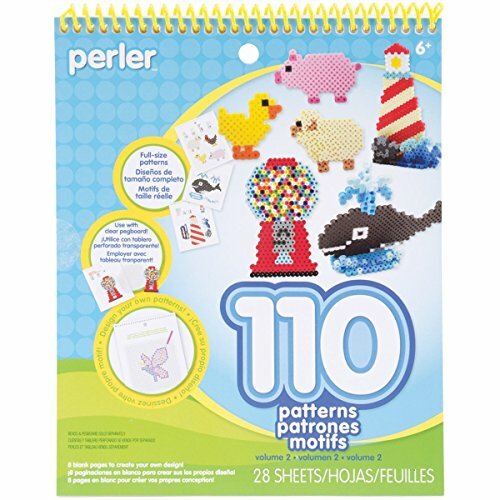 The Perler pegboard value pack includes these shapes: Monkey, Octopus, T-shirt, Owl, Frog, cupcake, Arch and Gecko pegboards, plus ironing paper and easy instructions. 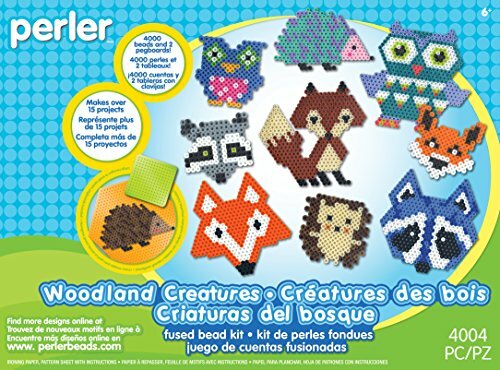 Perler-Fun Fusion Fuse Bead Activity Kit: Woodland Critters. Be creative and make your own color scheme with these clever animal templates! Have an adult finish your project by fusing yours beads with an iron. This 10-1/2x14-1/2x2 inch package contains 4000 beads two pegboards one sheet of ironing paper and pattern sheets with instructions. 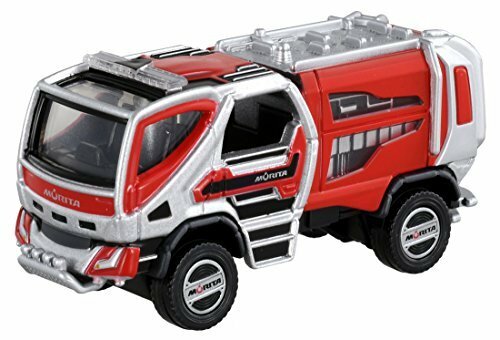 For ages six and up. Imported. Kids can create their favorite pets with this fusible bead activity kit. 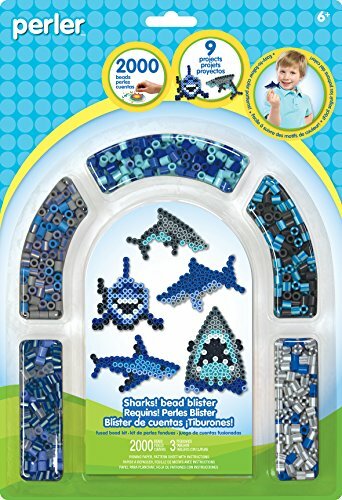 Perler-Pegboards: Fused Bead Kit: Sharks. Be creative and make your own color scheme with these clever animal templates! 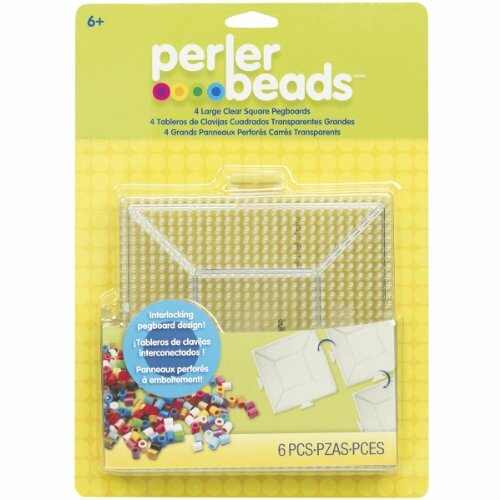 Have an adult finish your project by fusing yours beads with an iron This 11- 1/2x8x1-1/2 inch package contains 2000 beads three pegboards one sheet of ironing paper and pattern sheets with instructions. For ages six and up. Imported. For Kids Aged 4 and Up PRODUCT FEATURES Perler BIGGIE Fun Fusion Fuse Bead Bucket-Assorted Colors - 1200 BIGGIE beads (white, orange, purple, light blue, black, magenta, cheddar, and kiwi) - Ironing instructions included. - Product Dimensions: 4.6 x 6.6 x 6 inches Perler Beads Biggie Bead Fused Bead Kit, Pretty Snowflakes - 350 beads - 1 pegboard - Ironing paper - pattern sheet with easy instructions - Free downloadable Holiday pattern - Product Dimensions: 1 x 8 x 10.5 inches Perler Beads Clear Large Square Biggie Bead Pegboard - 2 large clear square Biggie Beads pegboards - Each pegboard holds 225 beads - 2 patterns - Ironing paper - Product Dimensions: 10.5 x 7.5 x 0.8 inches Darice No Spill Organizer - Stackable, with built in handle - 32 Separated compartments - Snug fit lid on this organizer keeps contents inside. - Grooves in lid keep compartments from spilling - Product Dimensions: 8.7 x 13.8 x 1.5 inches PERFECT GIFT ESPECIALLY ON A RAINY DAY! PROVIDES MANY HOURS OF LEARNING & FUN!! BLESS SOMEONE YOU LOVE WITH SUCH A SPECIAL GIFT! GET YOURS TODAY!!! 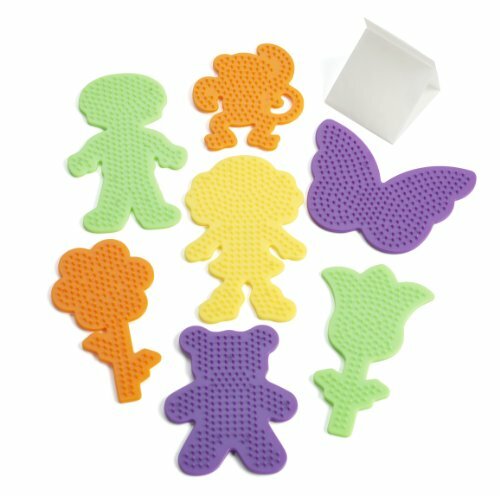 Compare prices on Perler Bead Templates at ShoppinGent.com – use promo codes and coupons for best offers and deals. Start smart buying with ShoppinGent.com right now and choose your golden price on every purchase.